A BLDC motor has a rotor in the form of a permanent magnet, and a stator in the form of polyphase armature windings. 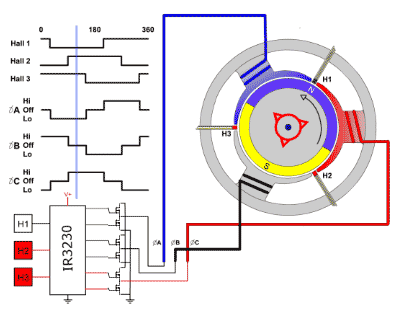 Since this motor does not take the help of any type of brushes and the computation is based on an electrical process, this makes it different from a normal conventional dc motor. Such motors can be made either by keeping the rotor out of the core and the windings in the core or by keeping the windings outside as well. Both of the arrangements make a Brushless DC motor act differently— in the former case, the magnets of a rotor work as an insulator and help in decreasing the rate of heat transfer from the motor; In the latter case, the dissipation rate of the motor increases in a way that it causes the increase in torque as well. WHAT PRINCIPLE IS THE WORKING BASED ON? The basic principle of a BLDC motor is similar to that of a Brushed DC motor, providing feedback on internal shaft position. It consists of only two coma mon parts: a stator and the rotor. The stator works as a stationary part and has stator windings, while a rotor as the name suggests functions as a rotatory part and includes rotor magnets. The permanent magnets that are attached to a rotor help in moving the electromagnets to the stator. For shaft turning, electromagnets are needed to get activated which is done by the transistors of high-power. A BLDC motor has many advantages which makes it the first choice for many engineers. Following are some of the advantages it offers to its users. Unlike a usual DC motor, brushless motors work efficiently because the determination of their velocity is calculated by the applied current frequency, and not the applied voltage. The absence of brushes causes no considerable loss in mechanical energy. This only increases their efficiency. These motors can work at high-speed. The operating of these motors do not cause loud noise and the sparking is absent. To gain more precise control, use of more electromagnets is possible. Being a high-performing motor, the outcome is always in large torque per cubic inch. Without any need for brushes, the motor lives long life is more reliable. And It does not require any major maintenance while operating. The process of conduction can easily cool these motors and hence, the need for airflow inside is not required. Brushless DC motors have a number of advantages which usually dominate the disadvantages of this motor. But some disadvantages which should not be neglected are explained below. 1. These motors being efficient can also cause a great deal of money. Then the usual brushed DC motors, hence, making them more expensive for the customers. 2. The heat provided to this motor shouldn’t exceed a certain limit. As this can cause its magnets to weaken and can also damage the insulation of windings present inside of it. 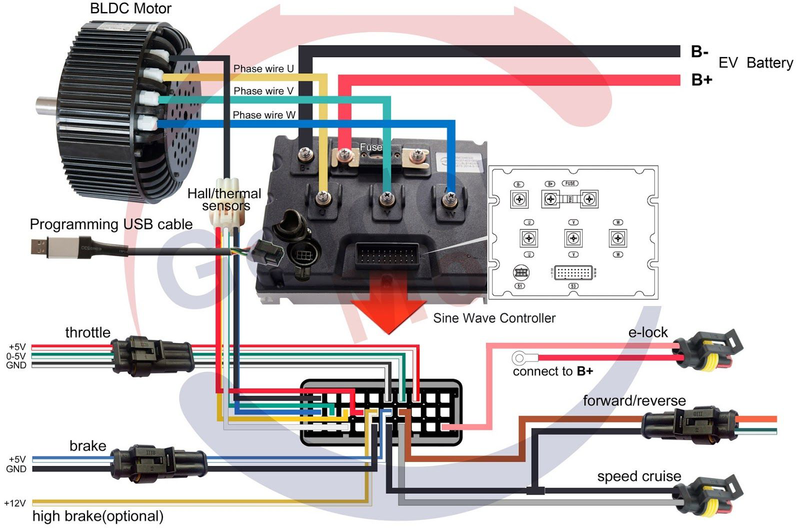 This way, a Brushless DC motor having few disadvantages cannot cause any damage to its reputation in the market; People in need still consider this motor’s working over a brushed motor. Because of the efficient service it gives to its user. Terrific work! This is the type of info that should be shared around the internet. Shame on the search engines for not positioning this post higher!